Now, you can see in detail which automatic planned costs for planned resources are included in your project budget. 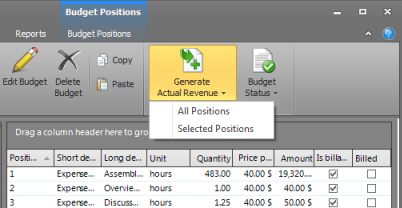 Yet another improvement is the possibility to decide whether you want to include all budget positions or only selected positions into your project billing. New budgeting features in InLoox PM 7 • Copyright 1999-2019 © InLoox, Inc. All rights reserved.